This section is currently under construction because I am trying to locate all books about bento (a holy grail feat). As I collect all of these books (because I absolutely have to own them all) I will write reviews for each and will guide bento lovers to other trust worthy critics. If you know of any books I have neglected please contact me! I am not trying to have a gender bias by listing all female bento-ers. I just have had a lack of discovery of male bento constructors. If you know of any that have achieved the status of the amazing ladies below I would be grateful to know about them. I have also added a selection of my favorite non-bento related food books which I find inspiring and motivating on my journey to make the most visually appealing yet healthy bento while understanding the essence of the food in its relationship to the interdependent web of life. This coffee table book is loaded with bento photos from a plethora of online bento fanatics but is lacking in unique and inspiring recipes to challenge and tantalize the pallet. 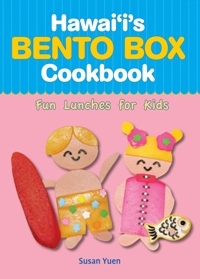 This being said, it is a great book for beginners and will give them an overview of bento possibilities. It is a good initiation to learn how organize and arrange a artful and tasty bento. This is a pithy book (64 pages) that is solely based on Japanese recipes. Although I love the gorgeous pictures in the book it has almost no vegetarian recipes and many of the ingredients are hard to find. 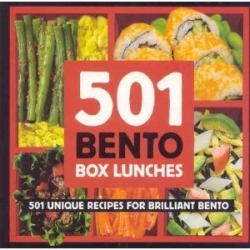 Most of the bento's arranged in this book are of a more traditional style (which I really like) but have very labor intensive recipes in my opinion. Just Bento's wonderful site gives a great review from someone much more familiar with Japanese cooking. This book is very visually stimulating but could use some updating for a broader international audience. Kawaii, or cutness, in Japanese culture litterally translates to "loveable" or "adorable" and has become a prominent aspect of bento style. Although Kawaii bento is most prominently made by parents for their children's' school lunches it is not uncommon for adults to indulge in these whimsical edibles! Vegan Lunch Box 130 Amazing, Animal-Free Lunches Kids and Grown-up will Love! This is one of the most colorful and enjoyable bento books out there! The pictures and friendly faces will make you smile as much as the food. 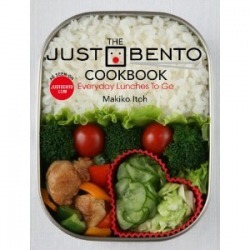 This book really brings bento home by presenting thoughtful and touching stories of the bento makers. It adds a personal touch that can't be beat! This book is a wonderful mixture of light hearted fun, Japanese cuisine and tradition, and most of all basic bento instructions and recipes. The overview of commonly used ingredients is helpful but offers little help for vegetarian or vegan substitutes even though some of the recipes are vegetarian/vegan already. Some of these ingredients may be difficult for people to find in remote communities but besides this the book offers wonderful inspiration and initiation into bento subculture. Most of the recipes are not too labor intensive and are accessible to the novice cook. They also have a special motor bike symbol they use to label easy to make recipes. One addition to this book is the calories per serving of each of the recipes and for a few recipes it also gives lower calorie ingredients. This saves much time for the health conscious granola hippies like me! Maki has done it again. She has turned her amazing bento knowledge that has been gathered on her website of the same name into a very accessible bento tool for creating "just" bento. The Buddha and the bento is a wonderful history about traditional Japanese fair and historical food tid bits that makes eating these foods stimulating to more than just the senses. It has informational but short chapters on the rise of certain foods and their influence on Japanese culture. Although there is only a small section on bento’s history it is one of the few sources I have found on the rise of bento culture. This book also has a section on vegetarianism. I would highly recommend this book to anyone who is interested in looking at Japanese food through a historical lens. This book was recommended to me on Amazon when I was ordering may of my other bento books and I couldn’t resist. It was well worth the investment! I have never been great at garnishes. I used typical flourishes but nothing as detailed and elegant as the garnishes found in this book. The food carvings in this book are probably too time consuming to put in the everyday bento but when you are looking for gasps and to inspire awe in elegant situations this book will come in handy. Certain tools are necessary to create these detailed pieces of art but are probably not uncommon to the average bento fanatic. This book completely changed my point of view on school lunches. It's wonderful presentation of facts and helpful advice to feeding today's children and adolescence healthy whole foods is paramount to long term health and longevity. This food memoir is a touching and personal tale of one girl's journey through her families Japanese food traditions in rural Indiana. The author shows the difficultly of being a Japanese American who was confused about her place in the world. This coming of age tale explores the oppression of foreigners in a predominately white town and the salvation and acceptance one can find in their food heritage. 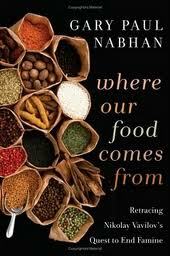 This book was one of my first intoductions into serious food culture and the exploration between food, health, science, and politics. 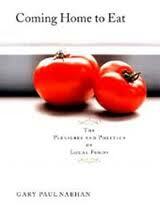 This gem is an essential read for any foodie and is a good read for all non-fiction readers. Michael Pollan illuminates food in a completely new light while keeping a strong non-judgmental journalist's piercing insight. A must read. 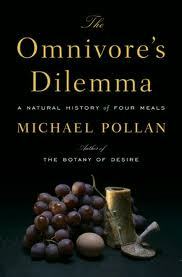 This very easy read by avid food activist Michael Pollan is a delightful read. It has priceless food facts and anthropological relevance to a world that's food history has been dominated by fast food and myth. It delves into the cultural evolution of four everyday and simple foods that usually go unnoticed. 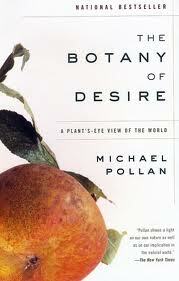 The Botany of Desire unravels food myths and cultivates a new perspective on what we take for granted. 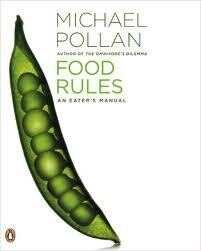 Michael Pollan's Best Seller is by far his most politically relevant food book you may ever read. His in depth research and investigation into the food system will leave you floored making you look differently at the industrial food system. No supermarket visit will ever be the same again. 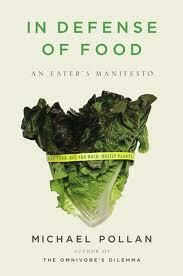 This pithy read is a good introduction into food rules for the sustainablely minded foodie. 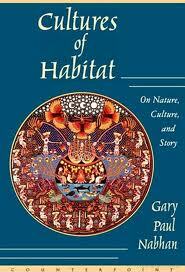 Gary Paul Nabhan's Coming Home to Eat is the food book that started the localization revolution. This food memoir cannot be missed. Although only slightly related to food this book shows more of an environmental, cultural and spiritual side of food that one does not witness everyday. 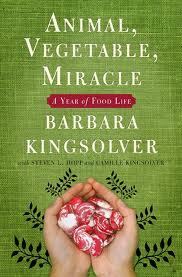 This unforgetable book by award winning Barbara Kindsolver is a food journey that explains the deeply moving and transforming nature of food on personal lives. Kingsolver rediscovers her community and family through the lens of food and creates relationships to her food that will make you earn for own backyard garden. 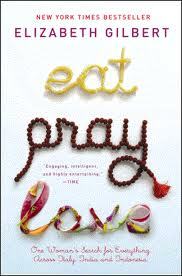 Elizabeth Gilbert's best seller is a true triumph in food literature and how it heals the heart and soul.